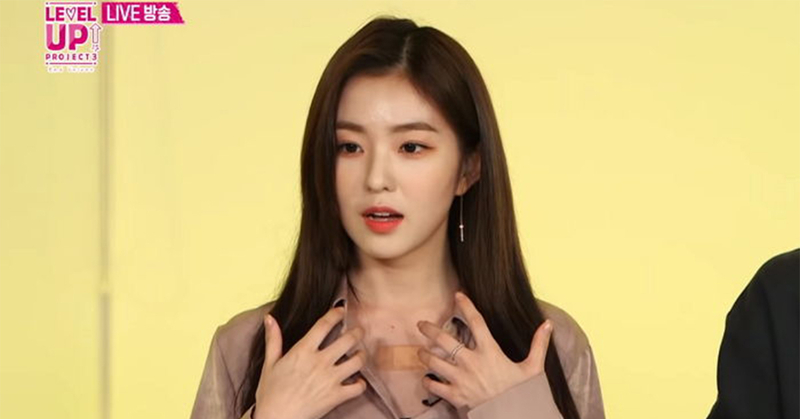 Red Velvet's Irene got small wounds by an unleashed dog. A reality program Level Up! Project Season 3 aired on the 8th this month featured Red Velvet members holding a special live fanmeet on the mobile app 'Oksusu'. 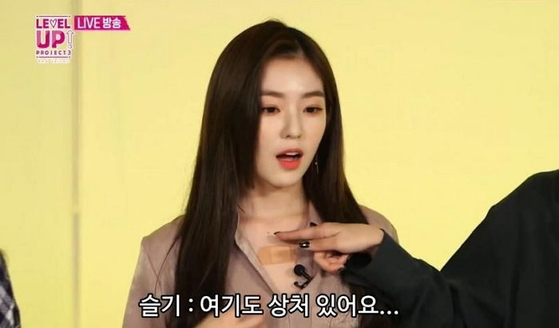 While they were freely talking and sharing their memories, fans started to concern Irene when a huge band-aid between her neck and chest area came to their eyes. 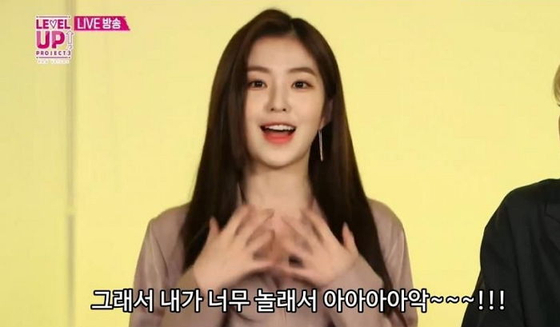 Fans' constant questionings let other members question Irene why she got certain wounds, and Irene explained the happening. Irene recalled the situation "I went to a market last time. Seen from a distance, the dog surely had a leash on. But when I went closer, the dog was not on a leash and it was running toward me. I was so frightened that I scratched myself like this." Seulgi, who sat beside Irene pointed areas that did not have a band-aid on and said Irene has scratches there too. Irene responded "Yes, they're all scratched. Some are quite deep. They were oozing last night and were so itchy that I couldn't sleep." Listening to what Irene has said, Joy emphasized "But seriously, everyone. You must put a leash on your dog when you take them outside. Of course, I love dogs. But they may be scary for other people. You should make sure to put them on a leash."